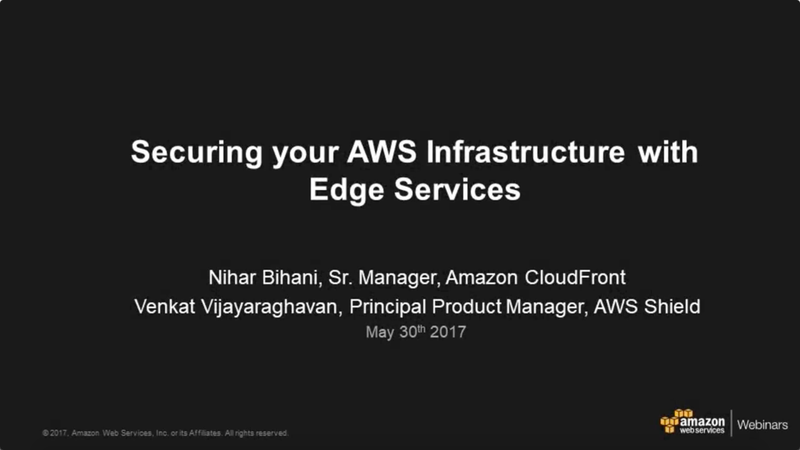 Learn about Amazon CloudFront and how you can secure your AWS infrastructure at the edge. In this tech talk you will learn how you can better defend your websites and cloud infrastructure from cyberattacks using edge services from AWS, such as Amazon CloudFront, AWS Shield and AWS WAF. You will go behind the scenes to see how edge services help mitigate common DDoS attacks, how to use advanced protocols and ciphers, and how to enforce end-to-end HTTPS connections. You will also learn how to use additional features like AWS WAF's IP and bot blocking to implement tailored and advanced protection. 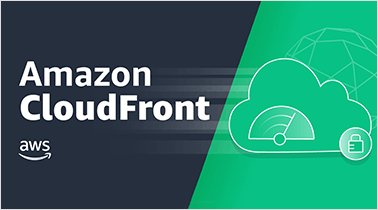 Amazon CloudFront is a highly secure CDN that provides both network and application level protection. All CloudFront customers benefit from the automatic protections of AWS Shield Standard, at no additional charge. Find out in this breakout session at AWS re:Invent 2017 how Dow Jones & Wall Street Journal's manage traffic spikes while mitigating DDoS & application layer threats. 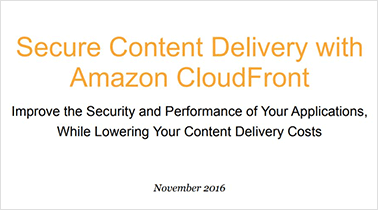 Learn how Amazon CloudFront improves the security and performance of your APIs and applications, while helping you lower your content delivery costs. How to enhance the security of sensitive customer data by using Amazon CloudFront Field-Level Encryption?